Recently, USA Today unfurled their list of the 50 best cities in which to live. This selection of 50 American cities has everyone buzzing. Which cities belong on the list? Which cities don’t? What constitutes a great American city anyway? This ignores a basic fact: there is no one single city for everyone. People have individual needs and goals, and different locations can either help or hinder those goals. For those investors with a Self-Directed IRA, the answers might be different. Carmel, Indiana. With a top-25% placement in home values and very low crime and poverty rates, this active community grabbed the top spot on USA Today’s list. Centennial, Colorado. Sharing many of the same statistical placements as Carmel, Centennial is one of the safest cities across the U.S.
Arvada, Colorado. Low violent crime rates, high education standards, and a very high median home value mean that if you can retire in Arvada, you’re probably doing something right. They completely ignore the Self-Directed IRA. In fact, they seem to ignore retirement altogether. When people read about the best cities to retire in, they often consult lists like these. But “great for retirement” doesn’t always equal “great for general living.” There are other elements that come into place, especially with those who have a Self-Directed IRA and want to take hold of their financial destiny by living in the best possible city for them and their loved ones. How is a City “Good” For the Self-Directed IRA? It’s easy to understand what USA Today is doing. By looking at basic demographics, they’re getting a general sense of whether a city is a great place in which to live. These sweeping statistics aren’t perfect, but by looking at issues like crime, education, and home prices, you get a sense of what a community is like. You, however, are a retirement investor who’s concerned with stretching your retirement dollar. It’s fair to say that your concerns are a little bit different than that of the general populace. For example, a low cost of living is far more important for those who want to stretch out their retirement dollar. One can retire in a mansion in Montana for the cost of a small condo in San Francisco, for example. Other concerns, such as the quality of local health care, are important for those considering where to live in their twilight years. A low cost-of-living is also important for those in the process of planning their retirement. Having money to put aside for a Self-Directed IRA means being able to put more money away toward precious metals, real estate, private companies, and more. The longer you live with a low cost-of-living, the more you’ll feel its effect as cumulative returns come in. The Self-Directed IRA is a valuable tool and perspective, because it helps you identify what might be right for you. I encourage anyone considering retirement to think beyond basic demographics and concern themselves with the issues that a community can offer their specific needs. Doing so will not only stretch out the retirement dollar—it will lead to a better quality of life in the long run. USA Today’s list is important and valuable, but it’s just a starting point for those who really want to do their homework. 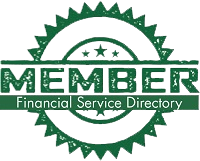 For more information on the Self-Directed IRA, continue reading www.AmericanIRA.com or call 866-7500-IRA.